Welcome to courtship in the 21st century, where you find a date by sifting through a stack of Facebook profile photos. Swipe to the right if you find the person attractive. Swipe to the left to send them off to the discard pile. That’s the basic functionality of the free iOS app Tinder, which launched six months ago and has quickly amassed a following of 20-something singles looking for love (or a one-night stand). The app uses your location to find other Tinder users around you and offers them up in a series of photos. If two people find each other attractive, they can message each other through the app. Tinder boasts 5.3 billion profile ratings (or number of times people have agreed to connect) and 56 million matches, so maybe there’s something to it. Browse potential matches nearby, and swipe to the right if you find a user attractive enough to message. You sign in to Tinder using your Facebook account, which presumably proves that you are legit. The app also mines your profile info to tell people whether they have something in common with you. But really, Tinder is about looks. Tinder’s popularity has spawned a subphenomenon: a slew of blogs that expose the app’s worst offenders. Preserved in the their posts are memorably bad pickup lines, weird obsessions, and grammatical errors galore. Sarah Dailey runs one such blog, TinderLines. The 23-year-old started the site after signing up for Tinder six months ago and being deluged with both terrible and creative pickup lines. Tinder users take screenshots and submit their best (and worst) encounters on the app, so beware: Your cheesy or creepy Tinder behavior could become blog fodder. Dailey thinks the app is “hilarious and entertaining,” but says it requires the right attitude. Tinder is anything but serious. So Tinder probably won’t help you meet the love of your life, but that’s okay—the company has much bigger plans. Tinder two weeks ago added a new feature that lets you play matchmaker for two of your Facebook friends who haven’t met yet. 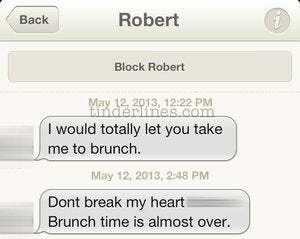 You can use Tinder's in-app chat function for dating or business. But in a twist, you don’t have to use Matchmaker to set up blind dates. You can use the feature to introduce people for any reason—business, friendship, and, sure, romance. Matchmaker is the jumping off point for Tinder’s next move: networking. 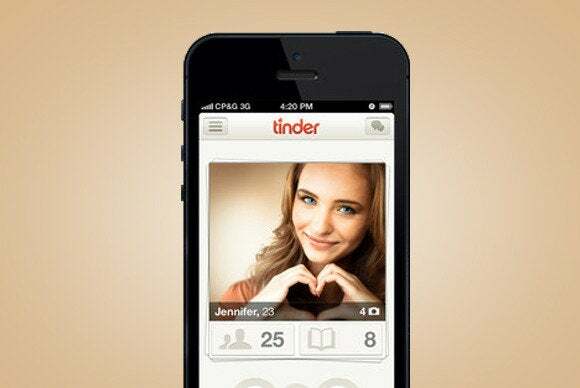 Tinder plans to roll out new features in the coming months to let users meet anyone around them for any reason. Mateen says the concept will work differently for nondating introductions—you won’t be judging your potential business connections based on attractiveness, for instance. 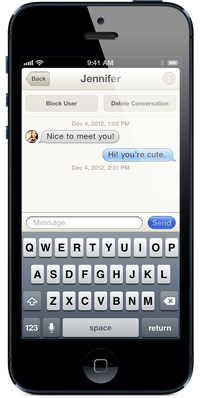 But first, Tinder has to extend its user base beyond iOS. An Android version is in the works, with a release planned for later this summer. Only time will tell if Tinder will at last unite iOS and Android lovers in their pursuit of hotter matches. This story, "Matchmaking app Tinder is tech's answer to 'How I Met Your Mother'" was originally published by TechHive.